This entry was posted in 2016 Election, Bill Clinton, crime, globalism, gun control, Hillary Clinton, Islam, Liberals/Democrats/Left, Obama, Russia and the 2016 election, United States and tagged Brenton Tarrant, Five Eyes, John Podesta. Bookmark the permalink. Great catch! I’ve been finding little bits virtually everywhere on this one. Same as the last one. Remember the Virginia journalist shooting? Very similar (film wise). Lots of Israeli involvement as well. When the boss tells you to get the guns, you do whatever is necessary! My, oh my! Those coincidences never stop! The left has perfected false flags like Sandy Hook, Parkland, Pulse Night Club. There needs to be an independent investigation into New Zealand. Be prepared for another mass shooting in the near future as it has become predictable. Absolutely incredible. 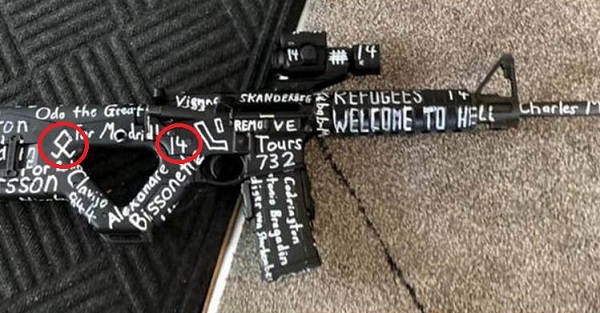 I find it telling that before the alleged bodies were cold, the NZ government was calling for additional gun restrictions. 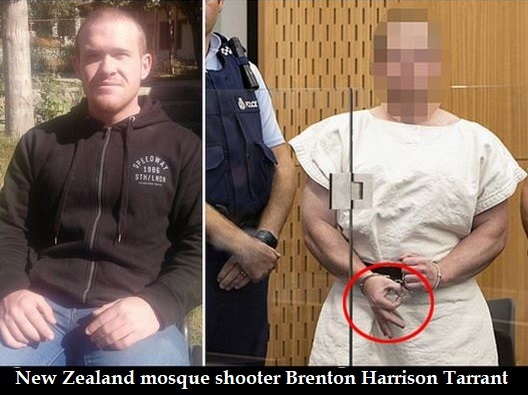 John Pedestal just happened to have visited NZ just before this false flag?!!! 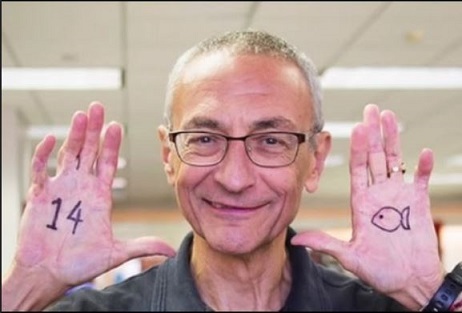 So much for the liars on Youtube saying the Podesta brothers are in custody or in GITMO. 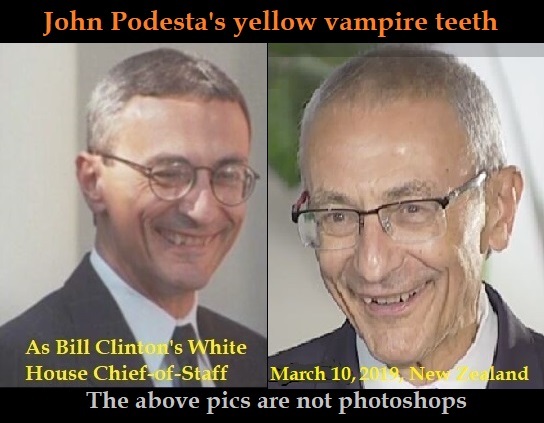 How about them Podesta boys! Did you know they also have the patent for a bacteria that produces diesel fuel and they don’t give it to the worled! Today, already, we should be waking up, dipping a cup or two of diesel to charge our batteries and enjoying the simple life, but oh no! They’re on a roll and they hate you! The fish on the rifle is an odal rune. Apparently, Pompeo flew from New Zealand to M.E. (Israel/Lebanon) after leaving N.Z. just before the police/military drill and fake mosque shooting event occured. The shooting down comes at a sensitive time where US Secretary of State, Mike Pompeo is on a visit to Lebanon and two days after US ambassador to Yemen, Mathew Tueller visited Aden. Tueller is based in Riyadh of Saudi Arabia since March of 2015.